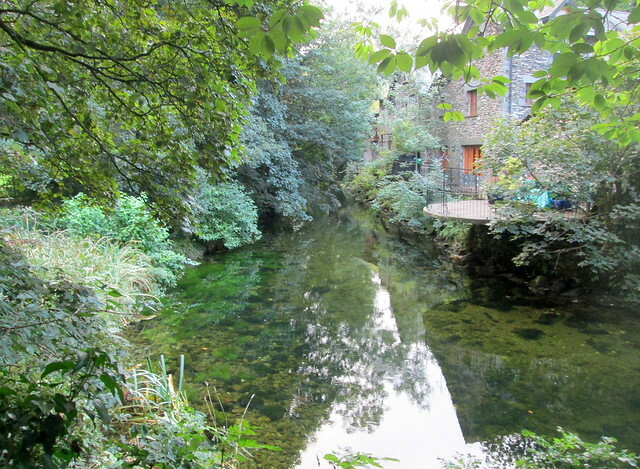 This entry was posted in Architecture, Scenery, Towns and tagged Grasmere, houses, Lake District by Katrina. Bookmark the permalink. 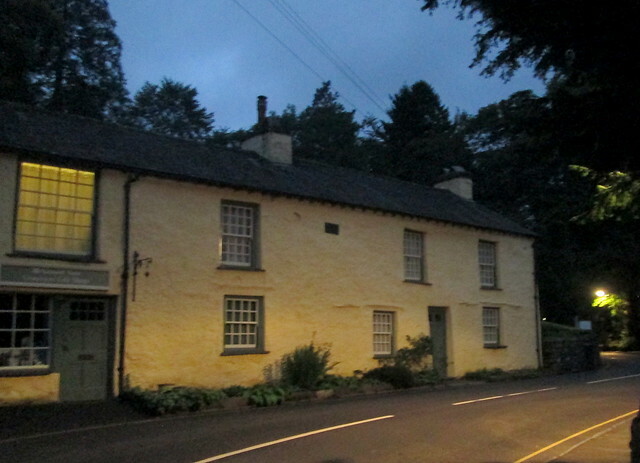 Did you have gingerbread at Grasmere? 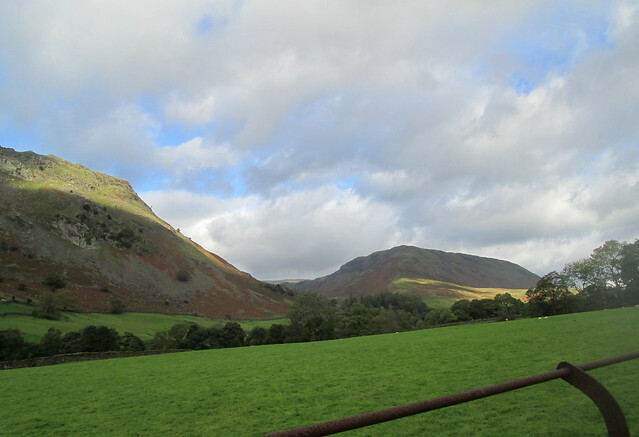 You were close to Beatrix Potter country there: I wonder if the sheep with the grey fleece were Herdwicks? 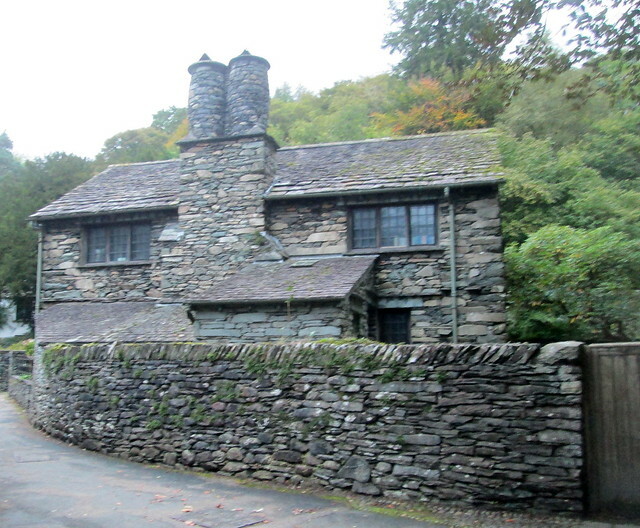 This might be the ‘feminine’ building: https://www.nationaltrust.org.uk/allan-bank-and-grasmere/features/the-church-stile-shop-in-grasmere and, my goodness, the stone house with the chimney stacks looks solid. 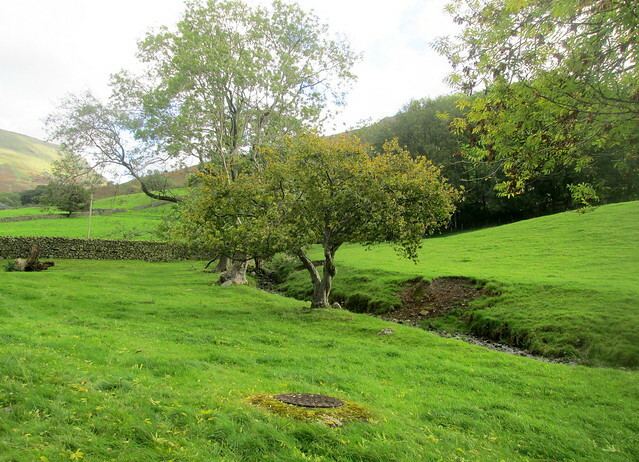 Lovely clear beck – close to Swallows and Amazons country too! Was ever a small area so much extolled in poetry and prose? Yes that is exactly the building. By the time I took the photo it was really dark but I could see there was some sort of shop at one end. We drove past it in the daylight next day. 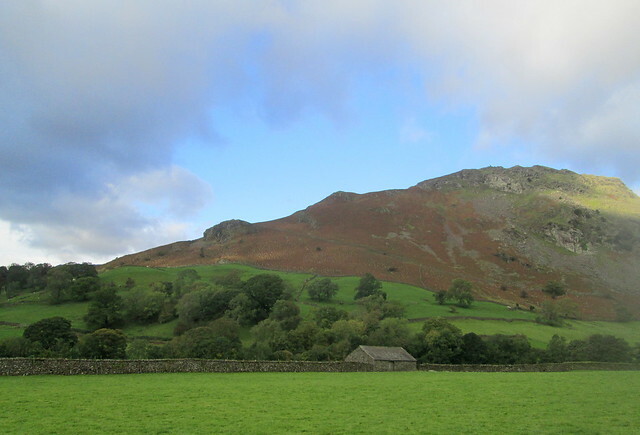 Last time we were in the Lake District we tried to visit Hill Top, Beatrix Potter’s home but it was shut. 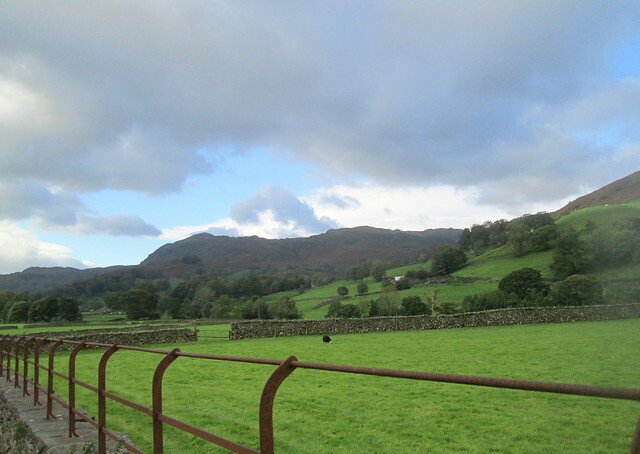 I think maybe they have trouble getting volunteers sometimes, so we decided to give it a miss and go to Coniston which is famous for Swallows and Amazons and John Ruskin. I’ll post about that area soon. How absolutely gorgeous. I would love to visit some day. Of course, I say that about so many of your travel posts. You’ll just have to give London a miss the next time! Great photos, Katrina. I do like that craggy stone house. Does it look out over the lake? I’ve never seen chimney stacks like that either. We were in the Lake District decades ago, but I don’t remember much about it. I think that the windows from the upstairs of that craggy house will have a view of the lake, none of the houses are very close though which might be a good thing although I don’t think I’ve heard of much flooding around there. 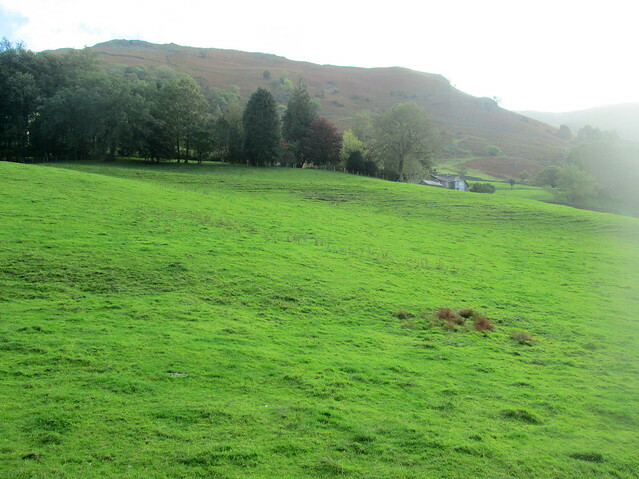 The Grasmere photo that you have said is too blurry, I like a great deal. It’s very atmospheric. Lots of mist about, as we’ve had to deal with here for well over a week. The mist in Grasmere is beautiful, anyway.